The very best lodge to discover the Talamanca Highlands and Los Quetzales birding hotspot, land of the Resplendent quetzal! Located in the famous cloudforest highlands of the Talamanca, in the heart of a nature reserve with an extension of 80 hectares, Paraiso del Quetzal Lodge contains a wealth of fascinating and unique flora and fauna. More than 140 species of birds have been recorder here, many of them endemic, makes this place a birdwatcher’s dream. Paraiso Quetzal is located in one of the most prolific zones for this bird species, considered one of the most beautiful in the world. Taking the Quetzal Paradise Tour will give you the highest possible chance of enjoying an unforgettable close encounter with this mystical Mesoamerican bird. Paraíso Quetzal Lodge has managed to respect and safeguard its natural environment, the Cloud Forest. Its varied fauna, especially the quetzal, make this place unique in the world. You will stay in a beautiful cabin built from pine wood, a comfortable and friendly place with spectacular views to the mountains. 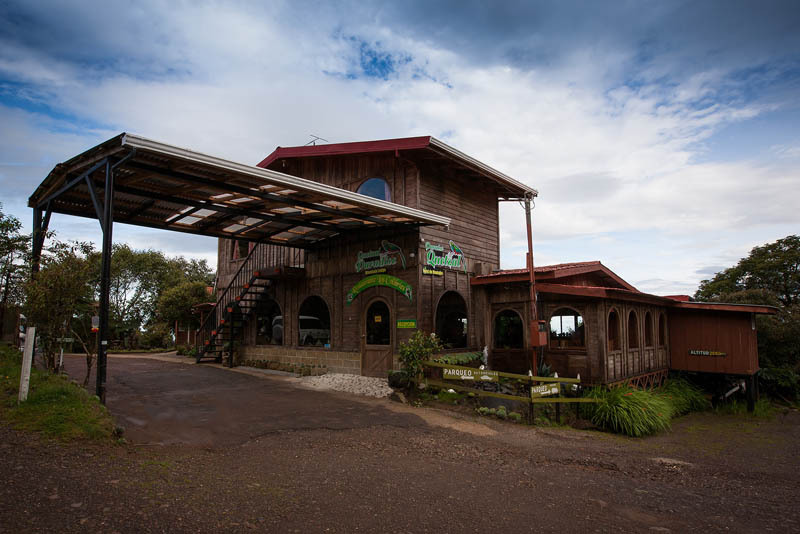 From the lodge it is possible to bird the Paramo mountains, Los Quetzales National Park, sunset tours and more.